Paul the Apostle (Latin: Paulus; Greek: Παῦλος, translit. 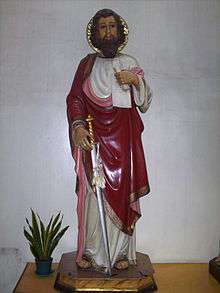 Paulos; c. 5 – c. 67), commonly known as Saint Paul, and also known by his native name Saul of Tarsus (Hebrew: שאול התרסי‎, translit. Sha'ul ha-Tarsi‎; Greek: Σαῦλος Ταρσεύς, translit. Saulos Tarseus) was an apostle (though not one of the Twelve Apostles) who taught the gospel of the Christ to the first century world. He is generally considered one of the most important figures of the Apostolic Age. In the mid-30s to the mid-50s AD, he founded several churches in Asia Minor and Europe. Paul took advantage of his status as both a Jew and a Roman citizen to minister to both Jewish and Roman audiences. According to writings in the New Testament, Paul was dedicated to the persecution of the early disciples of Jesus in the area of Jerusalem. In the narrative of the Acts of the Apostles (often referred to simply as Acts), Paul was traveling on the road from Jerusalem to Damascus on a mission to "bring them which were there bound unto Jerusalem" when the resurrected Jesus appeared to him in a great light. He was struck blind but, after three days, his sight was restored by Ananias of Damascus, and Paul began to preach that Jesus of Nazareth is the Jewish Messiah and the Son of God. Approximately half of the book of Acts deals with Paul's life and works. 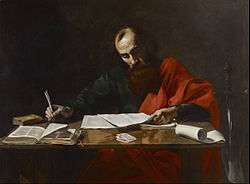 Fourteen of the twenty-seven books in the New Testament have traditionally been attributed to Paul. Seven of the epistles are undisputed by scholars as being authentic, with varying degrees of argument about the remainder. Pauline authorship of the Epistle to the Hebrews is not asserted in the Epistle itself and was already doubted in the 2nd and 3rd centuries. It was almost unquestioningly accepted from the 5th to the 16th centuries that Paul was the author of Hebrews, but that view is now almost universally rejected by scholars. The other six are believed by some scholars to have come from followers writing in his name, using material from Paul's surviving letters and letters written by him that no longer survive. 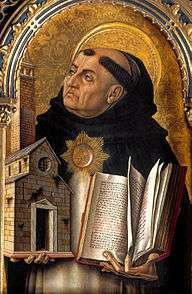 Other scholars argue that the idea of a pseudonymous author for the disputed epistles raises many problems. Today, Paul's epistles continue to be vital roots of the theology, worship, and pastoral life in the Catholic and Protestant traditions of the West, and the Orthodox traditions of the East. Paul's influence on Christian thought and practice has been characterized as being as "profound as it is pervasive", among that of many other apostles and missionaries involved in the spread of the Christian faith. Augustine of Hippo developed Paul's idea that salvation is based on faith and not "works of the law". 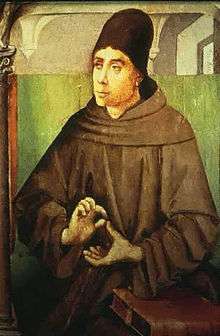 Martin Luther's interpretation of Paul's writings influenced Luther's doctrine of sola fide. The main source for information about Paul's life is the material found in his epistles and in Acts. However, the epistles contain little information about Paul's past. The book of Acts recounts more information but leaves several parts of Paul's life out of its narrative, such as his probable but undocumented execution in Rome. 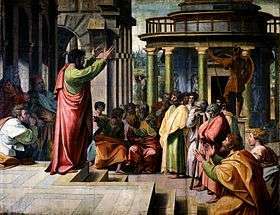 Some scholars believe Acts also contradicts Paul's epistles on multiple accounts, in particular concerning the frequency of Paul's visits to the church in Jerusalem. It has been popularly assumed that Saul's name was changed when he converted from Judaism to Christianity, but that is not the case. His Jewish name was "Saul" (Hebrew: שָׁאוּל, Modern Sha'ul, Tiberian Šāʼûl; "asked for, prayed for, borrowed"), perhaps after the biblical King Saul, a fellow Benjamite and the first king of Israel. According to the Book of Acts, he inherited Roman citizenship from his father. As a Roman citizen, he also bore the Latin name of "Paul" —in biblical Greek: Παῦλος (Paulos), and in Latin: Paulus. [Acts 16:37][22:25-28] It was quite usual for the Jews of that time to have two names, one Hebrew, the other Latin or Greek. In Acts 13:9, Saul is called "Paul" for the first time on the island of Cyprus — much later than the time of his conversion. The author (Luke) indicates that the names were interchangeable: "Saul, who also is called Paul." He thereafter refers to him as Paul, apparently Paul's preference since he is called Paul in all other Bible books where he is mentioned, including those that he authored. Adopting his Roman name was typical of Paul's missionary style. His method was to put people at their ease and to approach them with his message in a language and style to which they could relate, as in 1 Cor 9:19-23. 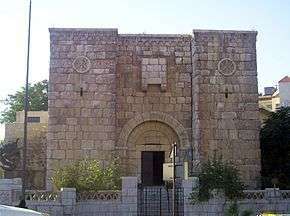 He was from a devout Jewish family in the city of Tarsus–one of the largest trade centers on the Mediterranean coast. It had been in existence several hundred years prior to his birth. It was renowned for its university. During the time of Alexander the Great, who died in 323 BC, Tarsus was the most influential city in Asia Minor. The Bible reveals very little about Paul's family. Paul's nephew, his sister's son, is mentioned in Acts 23:16. Acts also quotes Paul referring to his father by saying he, Paul, was "a Pharisee, the son of a Pharisee" (Acts 23:6). Paul refers to his mother in Romans 16:13 as among those at Rome. In Romans 16:7 he states that his relatives, Andronicus and Junia, were Christians before he was and were prominent among the apostles. According to the account in Acts, it took place on the road to Damascus, where he reported having experienced a vision of the resurrected Jesus. The account says that "he fell to the earth, and heard a voice saying unto him, Saul, Saul, why persecutest thou me?" Saul replied, "Who art thou, Lord? And the Lord said, I am Jesus whom thou persecutest: [it is] hard for thee to kick against the pricks. "[Acts 9:4-5] According to the account in Acts 9:1–22, he was blinded for three days and had to be led into Damascus by the hand. During these three days, Saul took no food or water and spent his time in prayer to God. When Ananias of Damascus arrived, he laid his hands on him and said: "Brother Saul, the Lord, [even] Jesus, that appeared unto thee in the way as thou camest, hath sent me, that thou mightest receive thy sight, and be filled with the Holy Ghost. "[Acts 9:17] His sight was restored, he got up and was baptized. [Acts 9:18] This story occurs only in Acts, not in the Pauline epistles. There are debates as to whether Paul understood himself as commissioned to take the gospel to the Gentiles at the moment of his conversion. After his conversion, Paul went to Damascus, where Acts 9 states he was healed of his blindness and baptized by Ananias of Damascus. Paul says that it was in Damascus that he barely escaped death. [2 Cor. 11:32] Paul also says that he then went first to Arabia, and then came back to Damascus.[Gal. 1:17] Paul's trip to Arabia is not mentioned anywhere else in the Bible, and some suppose he actually traveled to Mount Sinai for meditations in the desert. He describes in Galatians how three years after his conversion he went to Jerusalem. There he met James and stayed with Simon Peter for 15 days.[Gal. 1:13-24] Paul located Mount Sinai in Arabia in Galatians 4:24-25. Paul asserted that he received the Gospel not from man, but directly by "the revelation of Jesus Christ". [Gal 1:11-16] He claimed almost total independence from the Jerusalem community,:pp.316–320 (possibly in the Cenacle), but agreed with it on the nature and content of the gospel. [Gal 1:22-24] He appeared eager to bring material support to Jerusalem from the various growing Gentile churches that he started. In his writings, Paul used the persecutions he endured to avow proximity and union with Jesus and as a validation of his teaching. The author of Acts arranges Paul's travels into three separate journeys. The first journey,[Acts 13-14] led initially by Barnabas, took Paul from Antioch to Cyprus then into southern Asia Minor (Anatolia), and finally returning to Antioch. In Cyprus, Paul rebukes and blinds Elymas the magician[Acts 13:8-12] who was criticizing their teachings. From this point on, Paul is described as the leader of the group. A vital meeting between Paul and the Jerusalem church took place some time in the years 50–51, described in Acts 15:2 and usually seen as the same event mentioned by Paul in Galatians 2:1. The key question raised was whether Gentile converts needed to be circumcised. At this meeting, Paul states in his letter to the Galatians that Peter, James, and John accepted Paul's mission to the Gentiles. The Jerusalem meetings are mentioned in Acts, and also in Paul's letters. For example, the Jerusalem visit for famine relief[Acts 11:27-30] apparently corresponds to the "first visit" (to Peter and James only).[Gal. 1:18-20] F. F. Bruce suggested that the "fourteen years" could be from Paul's conversion rather than from his first visit to Jerusalem. Around 50–52, Paul spent 18 months in Corinth. The reference in Acts to Proconsul Gallio helps ascertain this date (cf. Gallio Inscription). In Corinth, Paul met Priscilla and Aquila (Acts 18:2), who became faithful believers and helped Paul through his other missionary journeys. The couple followed Paul and his companions to Ephesus, and stayed there to start one of the strongest and most faithful churches at that time (Acts 18:18-21). When a plot to kill Paul on his way to an appearance before the Jews was discovered, he was transported by night to Caesarea Maritima. He was held as a prisoner there for two years, until a new governor reopened his case in 59. When the governor suggested that he be sent back to Jerusalem for further trial, Paul exercised his right as a Roman citizen to "appeal unto Caesar". Finally, Paul and his companions sailed for Rome where Paul was to stand trial for his alleged crimes. 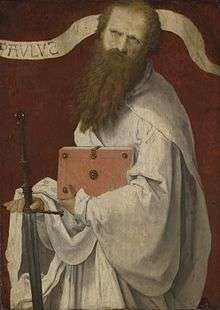 Irenaeus wrote in the 2nd century that Peter and Paul had been the founders of the church in Rome and had appointed Linus as succeeding bishop. Paul was not a bishop of Rome, nor did he bring Christianity to Rome since there were already Christians in Rome when he arrived there. [Acts 28:14-15] Also, Paul wrote his letter to the church at Rome before he had visited Rome. [Romans 1:1,7,11-13;15:23-29] Paul only played a supporting part in the life of the church in Rome. The New Testament does not say when or how Paul died. There is an early tradition found in the writing of Ignatius, probably around 110 AD, that Paul was martyred. 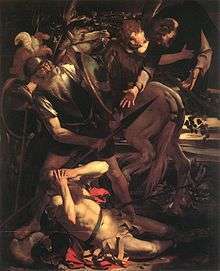 Dionysius of Corinth, in a letter to the Romans (166–174 AD), stated that Paul and Peter were martyred in Italy. Eusebius also cites the Dionysius passage. The Acts of Paul, an apocryphal work written around 160, describes the martyrdom of Paul. 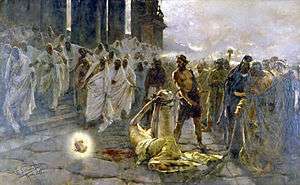 According to the Acts of Paul, Nero condemned Paul to death by decapitation. The date of Paul's death is believed to have occurred after the Great Fire of Rome in July 64, but before the last year of Nero's reign, in 68. A legend later developed that his martyrdom occurred at the Acquae Salviae, on the Via Laurentina. According to this legend, after Paul was decapitated, his severed head rebounded three times, giving rise to a source of water each time that it touched the ground, which is how the place earned the name "San Paolo alle Tre Fontane" ("St Paul at the Three Fountains"). Also according to legend, Paul's body was buried outside the walls of Rome, at the second mile on the Via Ostiensis, on the estate owned by a Christian woman named Lucina. It was here, in the fourth century, that the Emperor Constantine built a first church. Then, between the fourth and fifth centuries it was considerably enlarged by the Emperors Valentinian I, Valentinian II, Theodosius I, and Arcadius. The present-day Basilica of Saint Paul Outside the Walls was built there in 1800. In 2002, an 8 foot long marble sarcophagus, inscribed with the words "PAULO APOSTOLO MART" ("Paul apostle martyr") was discovered during excavations around the Basilica of Saint Paul Outside the Walls on the Via Ostiensis. 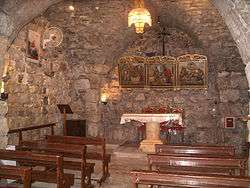 Vatican archaeologists declared this to be the tomb of Paul the Apostle in 2005. In June 2009, Pope Benedict XVI announced excavation results concerning the tomb. The sarcophagus was not opened but was examined by means of a probe, which revealed pieces of incense, purple and blue linen, and small bone fragments. The bone was radiocarbon-dated to the 1st or 2nd century. According to the Vatican, these findings support the conclusion that the tomb is Paul's. Paul ... only occasionally had the opportunity to revisit his churches. He tried to keep up his converts' spirit, answer their questions, and resolve their problems by letter and by sending one or more of his assistants (especially Timothy and Titus). Four of the letters (Ephesians, 1 and 2 Timothy and Titus) are widely considered pseudepigraphical, while the authorship of the other two is subject to debate. Colossians and 2 Thessalonians are thought by some to be "Deutero-Pauline" meaning they may have been written by Paul's followers after his death. Similarly, 1 Timothy, 2 Timothy, and Titus may be "Trito-Pauline" meaning they may have been written by members of the Pauline school a generation after his death. According to their theories, these disputed letters may have come from followers writing in Paul's name, often using material from his surviving letters. These scribes also may have had access to letters written by Paul that no longer survive. Ephesians is a letter that is very similar to Colossians, but is almost entirely lacking in personal reminiscences. Its style is unique. It lacks the emphasis on the cross to be found in other Pauline writings, reference to the Second Coming is missing, and Christian marriage is exalted in a way which contrasts with the reference in 1 Cor. 7:8-9. Finally, according to R.E. Brown, it exalts the Church in a way suggestive of a second generation of Christians, "built upon the foundation of the apostles and prophets" now past. The defenders of its Pauline authorship argue that it was intended to be read by a number of different churches and that it marks the final stage of the development of Paul's thinking. It has been said, too, that the moral portion of the Epistle, consisting of the last two chapters, has the closest affinity with similar portions of other Epistles, while the whole admirably fits in with the known details of Paul's life, and throws considerable light upon them. According to Bart Ehrman, Paul believed that Jesus would return within his lifetime. He states that Paul expected that Christians who had died in the mean time would be resurrected to share in God's kingdom, and he believed that the saved would be transformed, assuming supernatural bodies. Most Christian traditions say Paul clearly portrays homosexuality as sinful in two specific locations: Romans 1:26-27, and 1 Corinthians 6:9-10. Another well-known passage addresses the topic more obliquely: 1 Timothy 1:8-11. Since the nineteenth century, however, some scholars have concluded that 1 Timothy, along with 2 Timothy and Titus, are not original to Paul, but rather an unknown Christian writing in Paul's name some time in the late-first-to-mid-2nd century. In the second and, possibly, late first century, Gnosticism was a competing religious tradition to Christianity which shared some elements of theology. F.F. 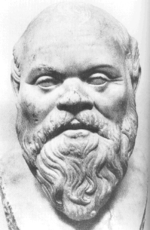 Powell argues that Paul, in his epistles, made use of many of the ideas of the Greek philosopher Plato, sometimes even using the same metaphors and language. For example, in Phaedrus, Plato has Socrates saying that the heavenly ideals are perceived as though "through a glass dimly", Paul's language closely mirrors this phrase 1 Corinthians 13. 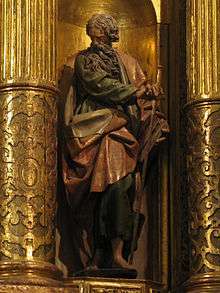 The latest research into the life of Paul disputes his claim of conversion. In 2015, independent researchers P.J. Gott and Logan Licht reported evidence they discovered that suggests the books of the New Testament were written in "enigmatical modes of expression," the method Philo the Alexandrian Jew attributes to the Essene sect of Judaism. Josephus the Jewish historian writes, "The Essenes also, as we call a sect of ours…live the same kind of life as do those whom the Greeks call Pythagoreans…" " The Greek historian Plutarch ties "Pythagoreans" and "enigmatical modes of expression" together: "Pythagoras greatly admired the Egyptian priests, and, copying their symbolism and secret teachings, incorporated his doctrines in enigmas." After testing Philo's "Essene" method as reconstructed by heresy-hunters in the 17th century, they conclude that Acts' "Paulus also known as Saulus" was the same "Saulus" Josephus blames for the events that led to the destruction of the Temple in 70. The New Testament offers little if any information about the physical appearance of Paul, but several descriptions can be found in apocryphal texts. In the Acts of Paul he is described as "A man of small stature, with a bald head and crooked legs, in a good state of body, with eyebrows meeting and nose somewhat hooked" and in the Latin version of the Acts of Paul and Thecla it is added that he had a red, florid face. 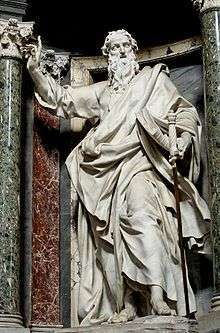 In The History of the Contending of Saint Paul his countenance is actually described as "ruddy with the ruddiness of the skin of the pomegranate" and The Acts of Saint Peter confirms that Paul had a bald and shining head, with red hair. As summarised by Barnes, Chrysostom records that Paul's stature was low, his body crooked and his head bald. Lucian, in his Philopatris, describes Paul as "corpore erat parvo (he was small), contracto (contracted), incurvo (crooked), tricubitali (of three cubits, or four feet six)", while Nicephorus claims that Paul was a little man, crooked, and almost bent like a bow, with a pale countenance, long and wrinkled, and a bald head. Pseudo-Chrysostom echoes Lucian's height of Paul, referring to him as "the man of three cubits". Paul himself admits to having been "abnormally born", perhaps suggesting some kind of deformity such as being crooked or hunch-backed, that tormented him. 1 2 3 "Why did God change Saul's name to Paul?". Catholic Answers. Retrieved 31 August 2014. 1 2 Acts 9:11 This is the place where the expression "Saul of Tarsus" comes from. 1 2 3 4 5 6 7 8 9 10 11 12 Sanders, E. P. "Saint Paul, the Apostle". Encyclopædia Britannica. Encyclopædia Britannica Online Academic Edition. Encyclopædia Britannica Inc., 2013. Web. 08 Jan. 2013. ↑ Martin, Dale B. (2009). "Introduction to the New Testament History and Literature — 5. The New Testament as History". Open Yale Courses. Yale University. ↑ Herbermann, Charles George, ed. (1911). "Saint Paul". 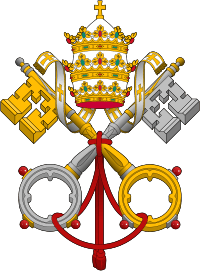 The Catholic Encyclopedia: An International Work of Reference on the Constitution, Doctrine, Discipline, and History of the Catholic Church. 11: New Mexico–Philip. New York: Robert Appleton Company. pp. 567–77. ↑ "The Letter of Paul to the Galatians: An Introduction". books.google.se. Retrieved 14 Dec 2014. 1 2 3 4 1st Timothy, 2nd Timothy, and Titus may be "Trito-Pauline", meaning they may have been written by members of the Pauline school a generation after his death. 1 2 Wallace, Quency E. "The Early Life and Background of Paul the Apostle". The American Journal of Biblical Theology. ↑ "His quotations from Scripture, which are all taken, directly or from memory, from the Greek version, betray no familiarity with the original Hebrew text (..) Nor is there any indication in Paul's writings or arguments that he had received the rabbinical training ascribed to him by Christian writers (..)" "Paul, the Apostle of the Heathen". JewishEncyclopedia.com. Retrieved 2012-02-10. ↑ Spence Jones, Donald; Exell, Joseph S., eds. (2013). "Acts". The Complete Pulpit Commentary. Volume 8: Act to Philippians. Harrington, Delaware: Delmarva Publications. 1 2 3 4 5 Herbermann, Charles George, ed. (1910). "Judaizers". The Catholic Encyclopedia: An International Work of Reference on the Constitution, Doctrine, Discipline, and History of the Catholic Church. 8: Infamy–Lapparent. New York: Robert Appleton Company. pp. 537–8. 1 2 Capes, David B.; Reeves, Rodney; Richards, E. Randolph (2007). "The imprisoned Paul: letters to churches". Rediscovering Paul: An Introduction to His World, Letters and Theology. Downers Grove, Illinois: IVP Academic. p. 203. ISBN 978-0-8308-3941-4. 1 2 Ratzinger, Joseph Aloisius (2009). General Audience of 4 February 2009: St Paul's martyrdom and heritage. Paul VI Audience Hall, Rome: Libreria Editrice Vaticana. Retrieved 2016-04-01. 1 2 saint, Jerome. "On Illustrious Men Chapter 5". Retrieved 3 June 2015. ↑ presbyter, Caius (Gaius). "Dialogue or Disputation Against Proclus (198 AD) in Eusebius, Church History Book II Chapter 25:6-7". newadvent.org. Retrieved 1 June 2015. ↑ Silver, Sandra Sweeny (2013). "Catacombs". Footprints in parchment: Rome versus Christianity 30-313 AD. Bloomington, Indiana: AuthorHouse. p. 18. ISBN 978-1-4817-3373-1. 1 2 3 The Blackwell Companion to The New Testament by David E. Aune ISBN 1405108258 page 9 "While seven of the letters attributed to Paul are almost universally accepted as authentic (Romans, 1 and 2 Corinthians, Galatians, Philippians, 1 Thessalonians, Philemon), four are just as widely judged to be pseudepigraphical, i.e., written by unknown authors under Paul's name: Ephesians and the Pastorals (1 and 2 Timothy and Titus). 1 2 Eerdmans Commentary on the Bible by James D. G. Dunn (Nov 19, 2003) ISBN 0802837115 page 1274 "There is general scholarly agreement that seven of the thirteen letters bearing Paul's name are authentic, but his authorship of the other six cannot be taken for granted ... Romans, 1 and 2 Corinthians, Galatians, Philippians, 1 Thessalonians and Philemon are certainly Paul's own". 1 2 Pheme Perkins, Reading the New Testament: An Introduction (Paulist Press, 1988), ISBN 0809129396 pp. 4-7. 1 2 3 4 5 "Epistle to the Colossians – Catholic Encyclopedia". Newadvent.org. Retrieved 2010-11-19. 1 2 "New Perspectives on Paul". Ntwrightpage.com. 2003-08-28. Retrieved 2010-11-19. ↑ Kirk, J. R. Daniel. "Faculty - Fuller". fuller.edu. 1 2 3 "Prophet, Prophetess, Prophecy". Baker's Evangelical Dictionary of Biblical Theology. ↑ "Catechism of the Catholic Church - Article 6: The sixth commandment". vatican.va. January 10, 1951. ↑ "Christianity and Homosexuality". CARM - The Christian Apologetics & Research Ministry. ↑ Ehrman, Bart. The New Testament: A Historical Introduction to the Early Christian Writings. Oxford University Press. 2003. p. 393 ISBN 0-19-515462-2. "... when we come to the Pastoral epistles, there is greater scholarly unanimity. These three letters are widely regarded by scholars as non-Pauline." ↑ Collins, Raymond F. 1 & 2 Timothy and Titus: A Commentary. Westminster John Knox Press. 2004. p. 4 ISBN 0-664-22247-1. "By the end of the twentieth century New Testament scholarship was virtually unanimous in affirming that the Pastoral Epistles were written some time after Paul's death. ... As always some scholars dissent from the consensus view." 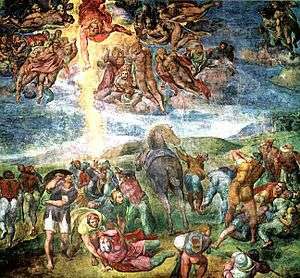 ↑ "Saint Paul, the Apostle. June 30. Rev. Alban Butler. 1866. Volume VI: June. The Lives of the Saints". bartleby.com. ↑ "June 30 – St. Paul The Apostle". paulines.ph. ↑ Peter G. Riddell (2001). Islam and the Malay-Indonesian World: Transmission and Responses (illustrated ed.). University of Hawaii Press. p. 235. ISBN 9780824824730. ↑ Ed Hindson; Ergun Caner (1 May 2008). The Popular Encyclopedia of Apologetics: Surveying the Evidence for the Truth of Christianity. Harvest House Publishers. p. 280. ISBN 9780736936354. ↑ James De Young (9 Dec 2004). Terrorism, Islam, and Christian Hope: Reflections on 9-11 and Resurging Islam. Wipf and Stock Publishers. p. 60. ISBN 9781597520058. ↑ Ross Brann (21 Dec 2009). Power in the Portrayal: Representations of Jews and Muslims in Eleventh- and Twelfth-Century Islamic Spain. Princeton University Press. pp. 65–6. ISBN 9781400825240. ↑ Zoltan Pall (31 Jan 2013). Lebanese Salafis Between the Gulf and Europe: Development, Fractionalization and Transnational Networks of Salafism in Lebanon. Amsterdam University Press. p. 55. ISBN 9789089644510. ↑ Sean Anthony (25 Nov 2011). The Caliph and the Heretic: Ibn Saba and the Origins of Shi'ism (illustrated ed.). BRILL. p. 68. ISBN 9789004209305. ↑ I. M. Al-Jubouri (12 Oct 2010). Islamic Thought: From Mohammed to September 11, 2001. Xlibris Corporation. pp. 90–1. ISBN 9781453595855. ↑ Camilla Adang (1 Jan 1996). Muslim Writers on Judaism and the Hebrew Bible: From Ibn Rabban to Ibn Hazm. BRILL. pp. 105–6. ISBN 9789004100343. ↑ Hagner, Donald (1980). Hagner, Donald, ed. Paul in Modern Jewish Thought in Pauline Studies. Exeter: Paternoster Press. pp. 143–165. ↑ Langton, Daniel (2011). Westerholm, Stephen, ed. Jewish Readings of Paul in Blackwell Companion to Paul. Blackwell. pp. 55–72. ↑ Langton, Daniel (2011). Levine, Amy-Jill, ed. Paul in Jewish Thought in The Jewish Annotated New Testament. Oxford University Press. pp. 585–587. ↑ P.J. Gott and Logan Licht, Following Philo: In Search of The Magdalene, The Virgin, The Men Called Jesus (Bolivar: Leonard Press, 2015),27. ↑ William Whiston, trans. The New Complete Works of Josephus (Grand Rapids: Kregel Publications, 1999), Antiquities15.10.4 (371), 521. ↑ Plutarch. Isis and Osiris, "Introduction," (Loeb Classical Library, 1914, Babbit trans. ); Gott and Licht (2015), 28. ↑ Barnstone, Willis. 'The Acts of Paul' in The Other Bible. New York, NY: HarperCollins Publishers, 1984, p. 447. ↑ Eisler, Robert. The Messiah Jesus and John the Baptist. London: Methuen & Co. Ltd., 1931, p. 448. ↑ Budge, E.A. Wallis. 'The History of the Contending of Saint Paul' in The Contendings of the Twelve Apostles: Being the Histories and the Lives and Martyrdomes and Deaths of the Twelve Apostles and Evangelists. Vol. 2. The English Translation. London: Henry Frowde, 1901, p. 531. ↑ 'The Acts of Saint Peter,' p. 501. ↑ Barnes, Albert. Notes, Explanatory and Practical, on The New Testament. Vol. 6. II. Corinthians and Galatians. Glasgow, Edinburgh and London: Blackie & Son, 1844, p. 212. ↑ The Catholic Encyclopedia, http://www.newadvent.org/cathen/, s.v. Paul, Saint.